The biggest cricket tournament in the world is here and it ’s your chance to lead your team to victory. 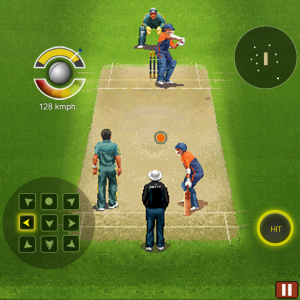 Ultimate Cricket ’11 comes with striking visuals, 29 realistic shots, dynamic ball physics and the most complete gameplay on mobiles. Decide whether to play defensive or aggressive shots. Featuring a comprehensive player attribute system, a variety of game modes and challenging opponents – strategy, skill and shrewd moves are all you need to get closer to the coveted trophy.